Glow Recipe is the destination for all things K-beauty thanks to skincare experts and brand co-founders Sarah Lee and Christine Chang. They keep a razor-sharp eye on the Korean skincare market, sifting through innovative products, trends, and formulations to introduce the best of the best to U.S. consumers. Think game changers like splash masks and waterless skincare. So clearly, they operate on a whole different level, providing wisdom and beauty enlightenment to us mere mortals below. Take it from the thousands (yes, thousands) of other beauty devotees who have joined a mega-long waiting list for the newest Glow Recipe product launch. This time, though, it's not just an expertly curated find: This product happens to be of their very own design. Keep reading to learn about Glow Recipe's brand-new namesake products and why one mask in particular has 5000 people clamoring to get their hands on it. According to Lee and Chang, this mask works best overnight. Apply a thin layer before you go to bed, and awaken to baby-soft, impossibly bright skin. It's almost too easy—and basically everything we could ask for in one single product. You can also use it as a regular wash-off mask—just leave it on for 10 minutes before removing. As for the watermelon theme, it's not just the millennial-pink factor at play here. 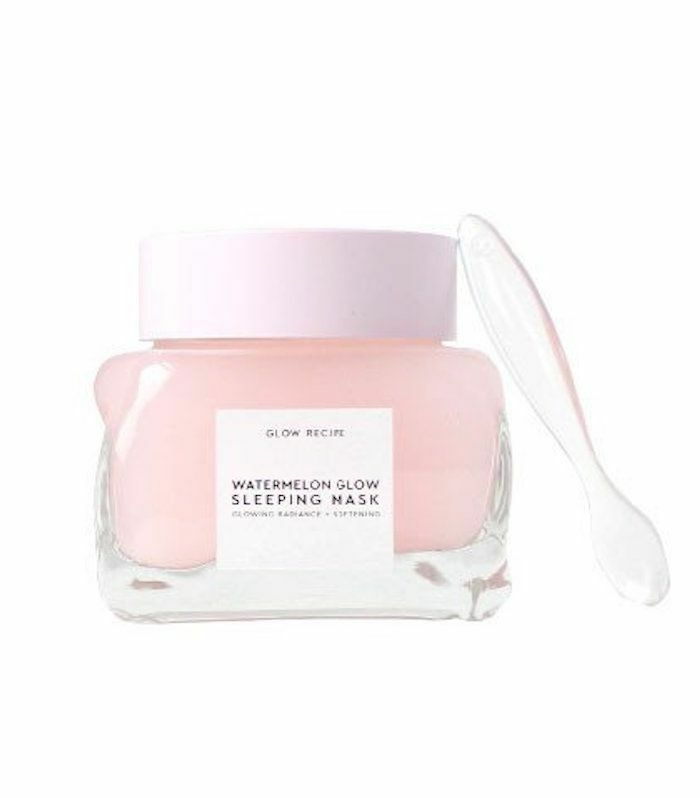 According to Glow Recipe, "Watermelon rind and flesh is traditionally used in Korea to soothe irritated, inflamed skin. It's full of skin-restoring vitamins, antioxidants, and amino acids." Other star ingredients come in the form of seaweed, pumpkin, cabbage, pomegranate, banana, licorice, peony, and sweet potato extracts. It's like a balanced diet… for your face. All of these ingredients work in tandem to gently exfoliate and clarify your delicate facial skin. Plus, the "pillow-proof" formula means the product will stay on your skin as opposed to your bed sheets. So there you have it. If effortless, mess-free, and "petal-soft" skincare is your thing, this one's for you. The second unveiling debuted Glow Recipe's first facial cleanser. 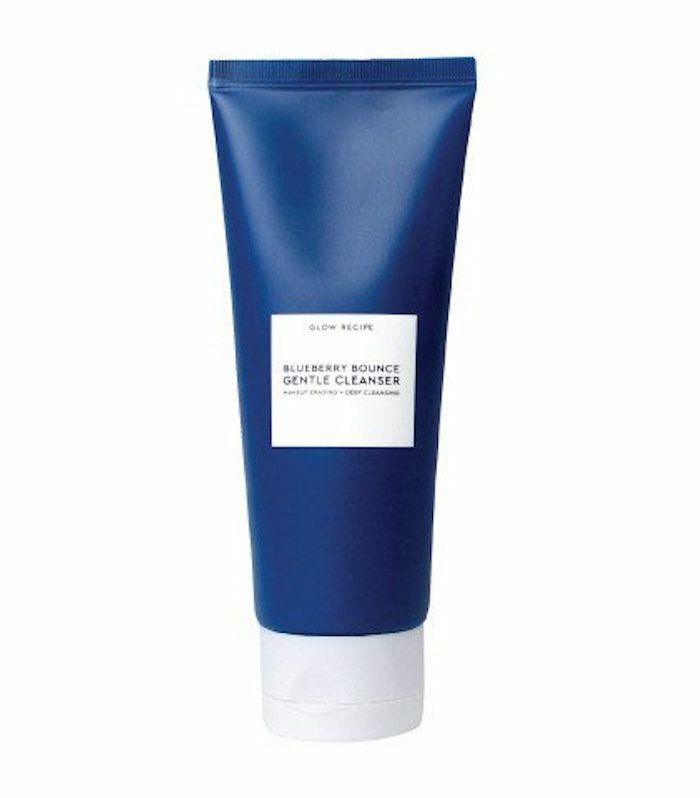 It's "an unexpectedly bouncy makeup eraser and cleanser that deeply hydrates skin, eliminating the need for a hydrating toner." The main ingredient is blueberry extract, which just so happens to be packed with natural antioxidants (critical in staving off damaging free radicals from pollution). A bevy of other berry extracts ensure your skin will remain clean, supple, and bright, no matter the environment. Will you try these new Glow Recipe launches? Let us know in the comments below. In the meantime, read about the mind-blowing skincare routine of a Korean model.